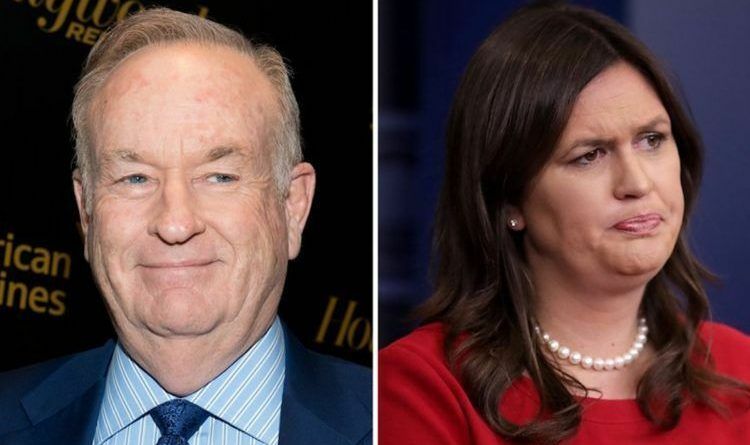 Bill O’Reilly Has An Idea For Helping Sarah Sanders Deal With The Media And Has Conservatives Everywhere Cheering! White House Press Secretary Sarah Sanders has one of the toughest jobs in the White House and she does it with such Grace and Dignity. She represents the core of our country! A biography of Sanders has revealed many unknown details about her life, including some that make clear where does she get the strength to deal with the media morons every day. The biography revealed that Sarah Sanders keeps a book of devotions in her office, and reads from it before stepping into the public spotlight. Of course, the mainstream media doesn’t see her kindness and makes constant attacks on her! So Bill O’Reilly has an idea how to stop those attacks! He dropped said knowledge Sunday night at a celebratory event for new U.S. ambassador Richard Grenell. Sanders might not need O’Reilly’s help with addressing the press, however. She went after journalists for reporting on rumors about where Melania Trump lives. Go, Sarah, Go! You are awesome. Do your job with a smile on your face! Stay strong. With God, anything is possible. stay with your faith, and know that many of us are praying for you and the rest of this administration.